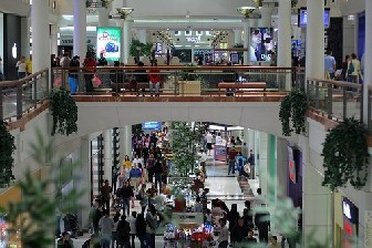 Just 35 miles from New York City, at Route 1 South and Parsonage Road in Edison, New Jersey, you'll find a great shopping location in Menlo Park Mall. Drive over and park in one of the two covered parking decks, or take the shuttle bus to and from the Metro Park Train Station. Bring along the youngsters and rent a stroller, available at several locations for your convenience. Complimentary wheelchair services are also available for Menlo Park Mall's disabled shoppers. Browse the shelves at the Barnes & Noble Booksellers, looking for the novel to peak your interest, or peruse the papers at Millennium News, the news stand within the mall that allows you to keep abreast of the latest news without ever leaving your shopping haven. Stop by Wachovia Bank to refuel your wallet, then take a trip into Gameworld to blow a few coins on some video games. If you get hungry, there are plenty of fast food eateries and restaurants to choose from. Make a quick trip to Chick-Fil-A, Wendy's, Sbarro, or Taco Bell for a quick bite on the go. Or have a seat in an animated jungle at the Rainforest Caf�, complete with a soundtrack featuring thunderstorms and animal sounds. Take advantage of the Mall Walker Program, offering a year round climate controlled walking track (distance between the Rainforest Caf� and Nordstrom measures � mile) Monday through Friday from 7:30am to 10:00am (regular mall hours extend from 10:00am to 9:30pm Monday through Saturday and 11:00am to 6:00pm Sunday, with varying department store hours). After a long day of shopping, relax with some popcorn and snacks while you watch one of the latest releases at the Loews Cineplex Odeon 12 Theatre, located right within the mall. Any time you feel the need to get away from the hustle and bustle of New York City, take the short drive down to Menlo Park Mall, where you'll find all the excitement you need in a fabulous day of shopping at Menlo Park Mall.